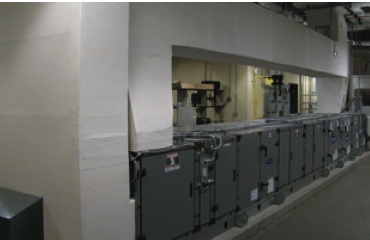 A dedicated 176 kW (50 RT) chiller that supplies chilled brine to each test station at temperatures as low as -9.4°C (15°F). Up to 24 different heat transfer experiments over a wide range of temperatures can be conducted simultaneously. A 2.4 m3/s (5000 cfm) HVAC wind tunnel with temperature and humidity pre-conditioning for heating and cooling experiments of air-coupled heat and mass exchange in once-through, recirculation, and continuously variable blend modes. 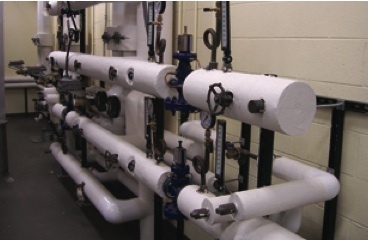 Numerous thermal test stations, each with independent access to chilled brine, steam from a dedicated boiler, and electrical utilities enabling concurrent operation of up to 24 separate test facilities. Steam pressures up to 1825 kPa (250 psig) are available, enabling heat transfer tests at temperatures as high as 208°C (407°F). 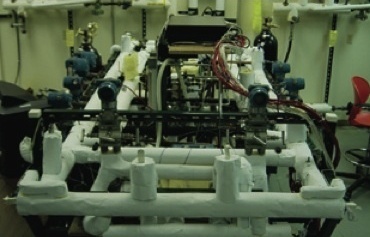 This facility is used for conducting flow visualization, heat transfer and pressure drop experiments during phase-change and supercritical flow of refrigerants through conventional and minichannel geometries with channels as small as 400 microns. 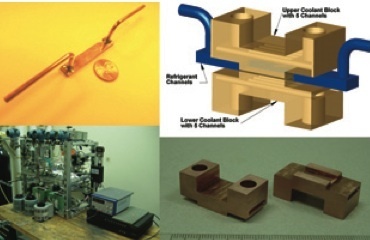 This facility is used to investigate phase- change heat transfer in microchannels with hydraulic diameters of ~100 microns, with a variety of channel shapes. These small channels have applications in ultra-high heat flux applications. 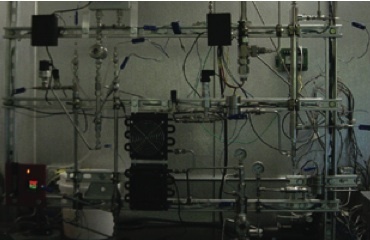 This facility enables testing of a variety of innovative concepts for miniaturized components for binary-fluid heat and mass exchange as well as coupled operation as breadboard heat pumps. 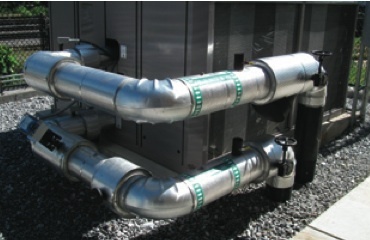 Entire thermally activated heat pumps with cooling loads as small as 300 W have been developed in this facility for portable applications. A low-temperature Mydax chiller, capable of providing cooling down to –55°C (-67°F), with a temperature stability of ±0.5°C (0.9°F). Two low-temperature, and one high-temperature controlled ambient temperature chambers for test environments ranging from -8.3°C (17°F) to 70°C (158°F) and above. Numerous self-contained computerized data- acquisition systems, each capable of recording up to 992 temperature, pressure, flow rate, and other signals, at speeds of up to 960 channels per second. High-accuracy Coriolis and magnetic flowmeters, absolute and differential pressure transducers, NIST-calibrated thermocouples, RTDs, etc. High-speed video equipment with 1024x1024 pixel resolution and electronic shutter speeds up to 1/128,000 sec for high resolution, high-speed video in full color at 500 frames per second, and at lower resolutions at up to 16,000 frames per second.